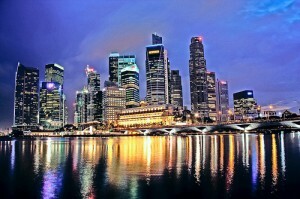 Singapore has a reputation as an expat paradise, but that image may fade along with the days of lavish compensation. Singapore could lose its status as a top expat destination as companies become less willing to pay out generous compensation packages. Till now the country has consistently been rated one of the top destinations for expatriates. In fact, in 2010 HSBC’s Expat Explorer Survey ranked it #1 in the world. This year, however, Singapore didn’t even crack the top three. Part of the reason may be that though cost of living remains high in Singapore, expat compensation packages are shrinking. Many companies are no longer offering special packages for expats at all, instead limiting them to local compensation standards. This has made it increasingly difficult for both local and multinational companies to attract new hires, especially those at the executive level with families. This is the main challenge we face when we are trying to sell them the job. Bankers moving from Europe or the US are questioning their allowances because school here costs USD 20,000 to USD 30,000 per kid. The dynamic has stoked more than a little resentment among local recruiters, many of whom see expats as spoiled. The same panelist said she had little sympathy for expats, considering no one either forced them to have children or live in a posh district. It’s a shame that internal mobility is still marred by the word expat.